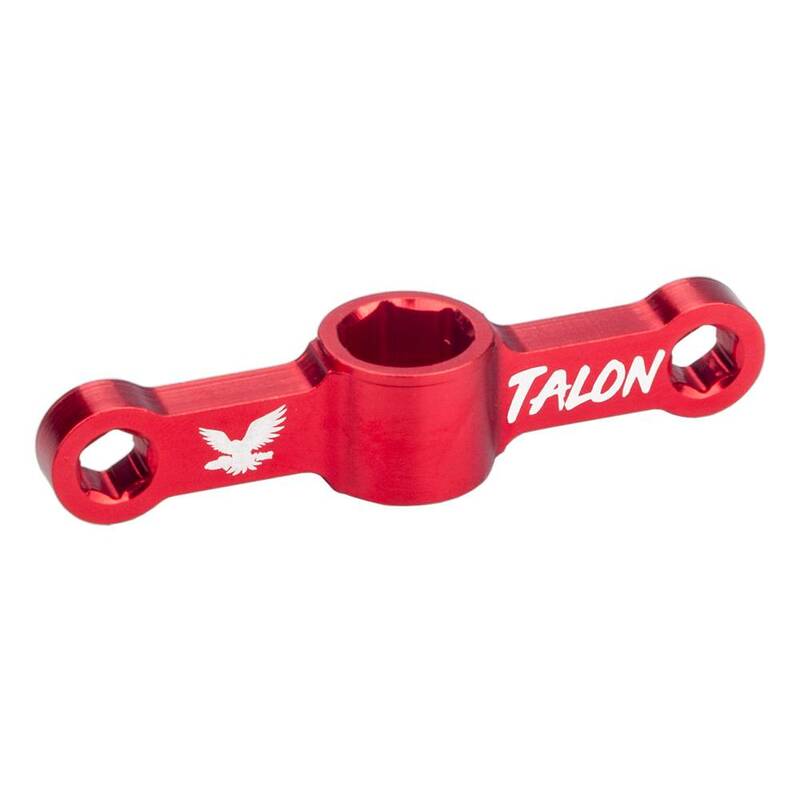 This quick release & mount driver wrench is suitable for D2204 D2205 motor caps and M3 M5 M6 Lock Nuts. 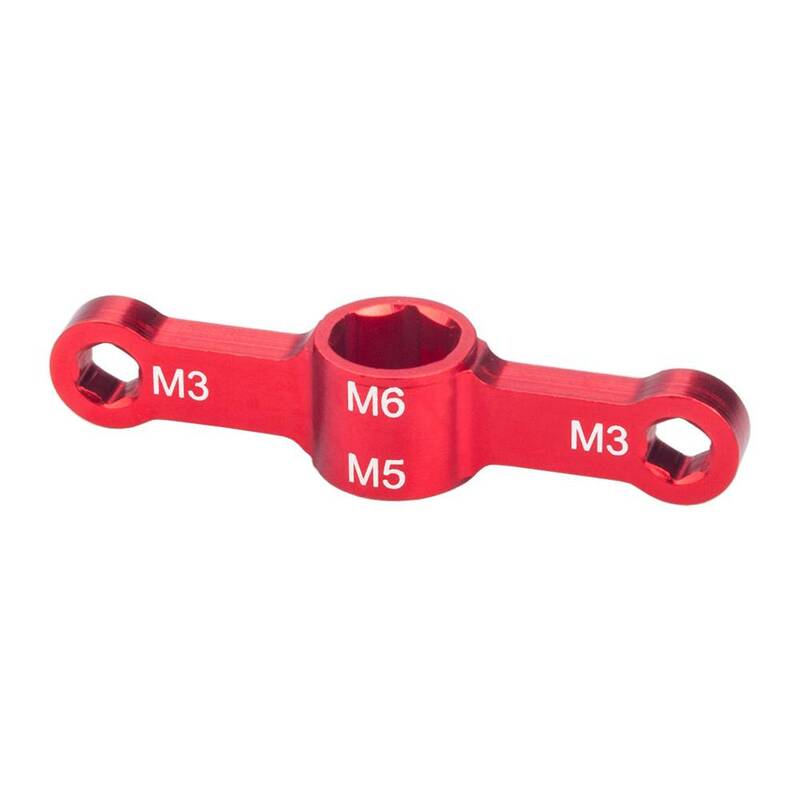 The center hub features two sizes of hex cutouts for M5 and M6 nuts and the ends contain a smaller size for M3 nuts. Help you save time spent on releasing or mounting motor caps, handy little tool for quadcopters. Convenient for carrying, say goodbye to the pliers and sleeve, makes adding and removing propellers easily. Made of 6061 aluminium alloy, it is very hard and abrasive resistant, stable for using long time. 1 x Quick release driver.